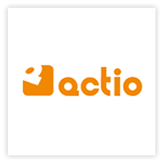 Established in 2006, Actio.pl is a Polish business class VoIP service provider for enterprise, contact center and call center clients. Actio is a comprehensive alternative to traditional phone, offering a huge saving – no fee, low call rates, free telephone numbers. Every account provided by Actio.pl in business offer, has ability to place unlimited number of simultaneous calls at one moment. Telephone services are provided on the basis of Actio.pl own telecommunications network. FreePhone ,founded in 2006, is Polish provider VoIP , delivers across the country , innovative telephony service for residential and business customers. We currently offer our services to more than 50 resellers, and 10,000+ end users. Our products include VoIP Trunking, DID Porting, Managed billing platform, Hosted PBX and the full range of S-Series IP-PBX systems. We use the Yeastar systems for the easy to use web interface and rock solid performance along with the extensive business features.